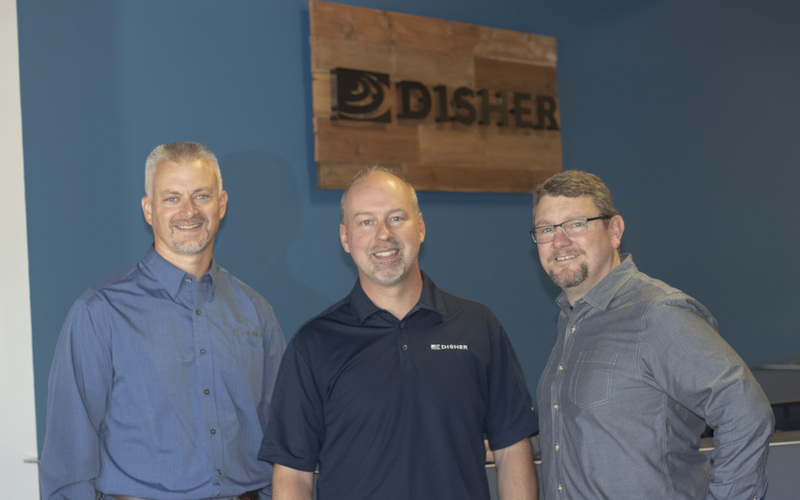 Left to right: Brent Heeres, Business Lead – Engineering; Tod Grams,Team Lead – Electronics; and Joe Pighetti, Electronics Systems Engineer are active members of DISHER’s Nationally-Ranked Electronics Team. DISHER— a fully-integrated electronics design and development firm headquartered in Zeeland, Michigan, recently ranked fourth for PCB Design and Engineering Solution Providers for 2018. The Top 10 listing was featured in the December 2018 PCB and Engineering issue of Embedded Advisor magazine. The companies were chosen based on their ability to develop innovative technologies in combination with providing outstanding customer service. DISHER Electronics works alongside a diverse set of customers from a variety of industries to provide world-class printed circuit boards for many unique applications. DISHER’s experienced team, cross-functional knowledge, agile tools and processes fuse together to create high-quality designs, PCB layouts, and simulations/models. DISHER works with customers on projects that include: systems design, software and firmware design, hardware design, prototyping and enclosure design, and verification and bench testing.